Many people suffering from back, neck, shoulder, and other spinal-related problems don’t realize that posture is the key to many of these issues. 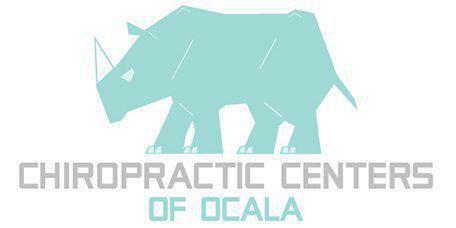 Dr. Chris M. Pell, DC and the specialists at Chiropractic Centers of Ocala are experts at posture correction therapy for Ocala, FL, and patients in surrounding communities. How Does Posture Affect Health? Posture refers to the way in which a person holds their body at all times. It refers to far more than just standing and sitting. It covers all aspects of activity—sitting, standing, and moving. Maintaining good posture means that a person requires less effort when moving, lifting, twisting and bending, and are less likely to become injured as a result. What Are the Body’s Lever Systems? The human body is a finely-tuned machine, capable of incredible feats, but it depends upon the proper functioning of certain lever systems, which most people know as joints. Using the arms, legs, back, and neck properly means placing less strain on the body, reducing the effort it takes to perform activities from sports to manual labor and reducing the overall risk of injury. What Is Posture Correction Therapy? Chiropractors focus on helping patients establish and maintain good posture so that their body works the way it’s supposed to. Posture correction therapy involves a range of exercises and activities specifically tailored to the individual patient that will aid in understanding and assuming correct posture, from sitting at work to walking down the street, to lifting heavy objects. A major part of posture correction is simply identifying where the problem lies and consciously holding it until it becomes habit. Some people, however, may have mobility issues that physically prevent them from assuming the right posture. These people require specialized help, in the form of exercise, therapy and possibly spinal manipulation. Where Is Posture Correction Practiced? At Chiropractic Centers of Ocala, posture correction therapy can be undertaken at the clinic’s on-site gym and as a part of the tailored 8-Week Wellness Program fitness routine taught by Dr. Chris M. Pell, DC. Each patient receives an individualized course of treatment that is tailored to their specific needs. In the end, this will not only help achieve ideal posture that can improve the body’s natural healing but can prevent and reduce chances for future injury.